Water is an extremely important feature on the MANNM Railroad and you can see in the plans how significant water is in the design. 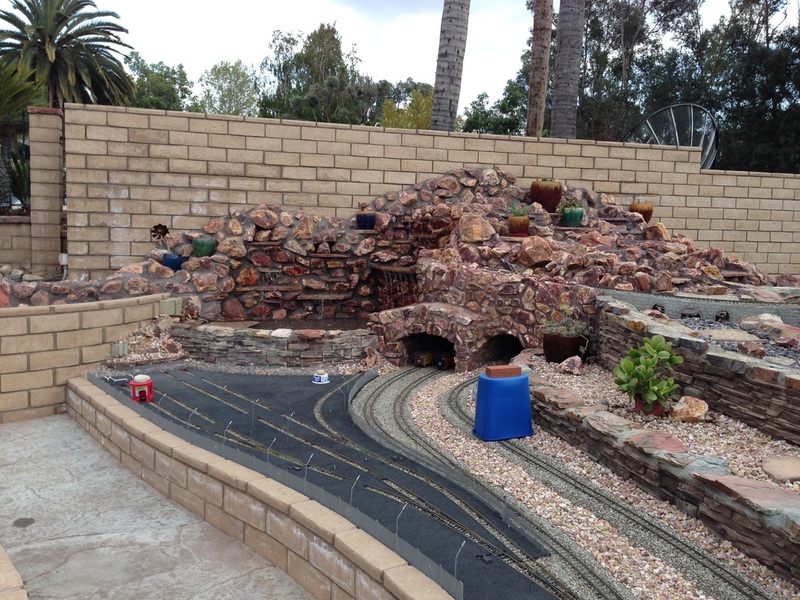 There are four water features on the railroad: water wall, finger rock, and the two main falls. 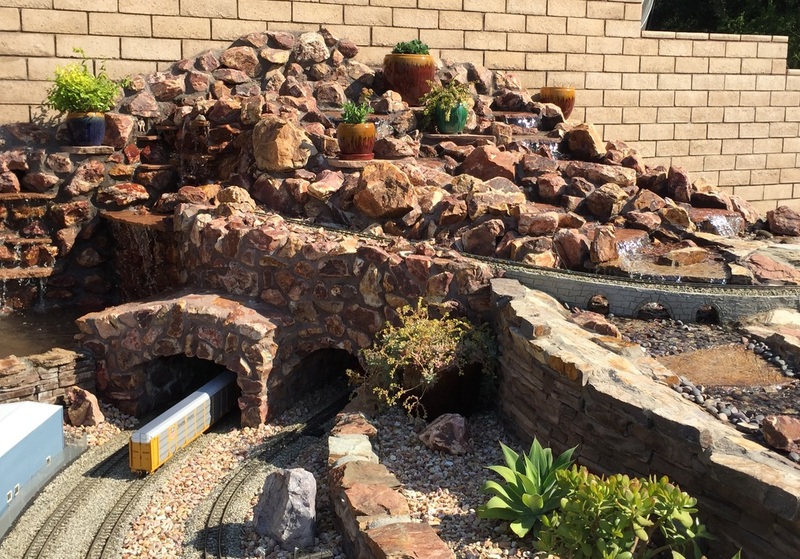 The main waterfall feeds 130' of creek bed that splits in two directions. One half goes directly to the lake and spills over the RhB line. 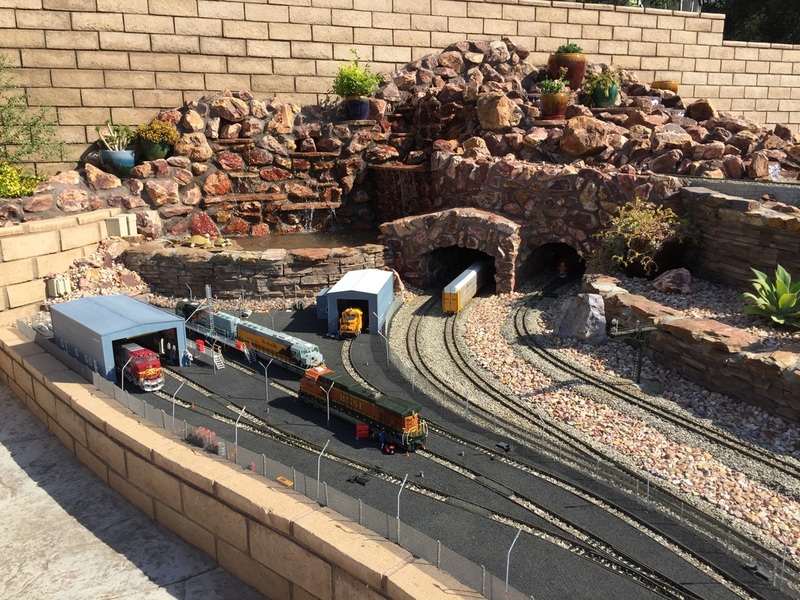 The other half travels around the layout stopping at the pond before continuing to the lake. The final water feature to be built was the water wall added in the summer of 2014. 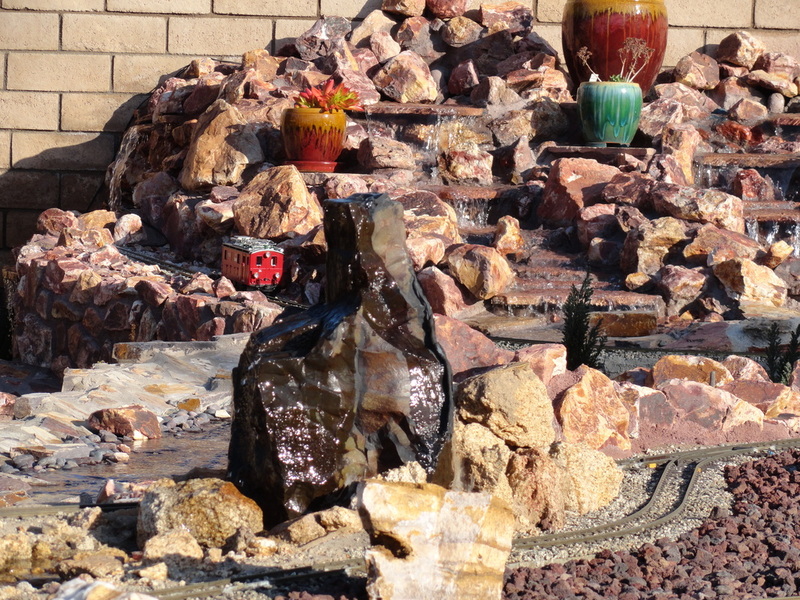 This really helped to tie in the main waterfall with the rest of the yard. 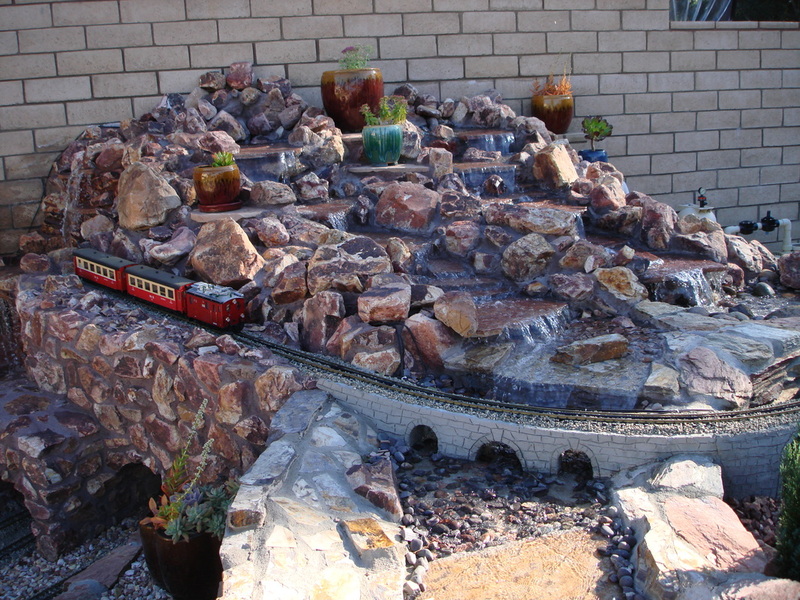 There are several shelves build into the waterfall to allow for potted plants.